Today is Friday, November 13, 2015. For some people this means nothing more than the fact that yesterday was the 12th and tomorrow is the 14th. For the superstitious among us today means all of the things above in addition to it being an unlucky day all the way around. As we do every Friday the 13th it is time to state the facts about the origins of the day and uncover why some people just really do not like it. While many may think that the Friday the 13th craze started with a certain movie character named Freddy, the roots of Friday the 13th actually run much deeper than late 20th Century cinema. 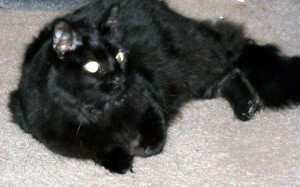 For many people a black cat crossing their paths is a sign of bad luck. Since the 19th Century Friday the 13th has been considered an unlucky day in Western and Eastern superstition. Friday and the number 13 were considered unlucky by some on their own so it was only logical that both occurring at the same time would be even unluckier. In fact fear of Friday the 13th even has a name; friggatriskaidekaphobia (Frigga being the name of the Norse goddess for whom Friday is named in English and triskaidekaphobia meaning fear of the number thirteen). 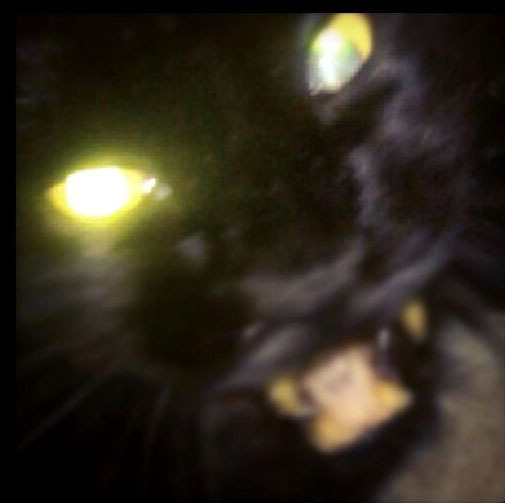 Personally I have never feared Friday the 13th and am among the people who consider it just another day. But the arrival of Friday the 13th is another opportunity to think about sports and the superstitious rituals that many athletes seem to follow. There are players who will eat the same pregame meal because they feel that to eat anything else would risk certain disaster on the field. Hitters on a hot streak in baseball are notorious for continuing whatever “routine” it is that they feel is behind their streak since they feel any deviation will likely mean the end to the streak. 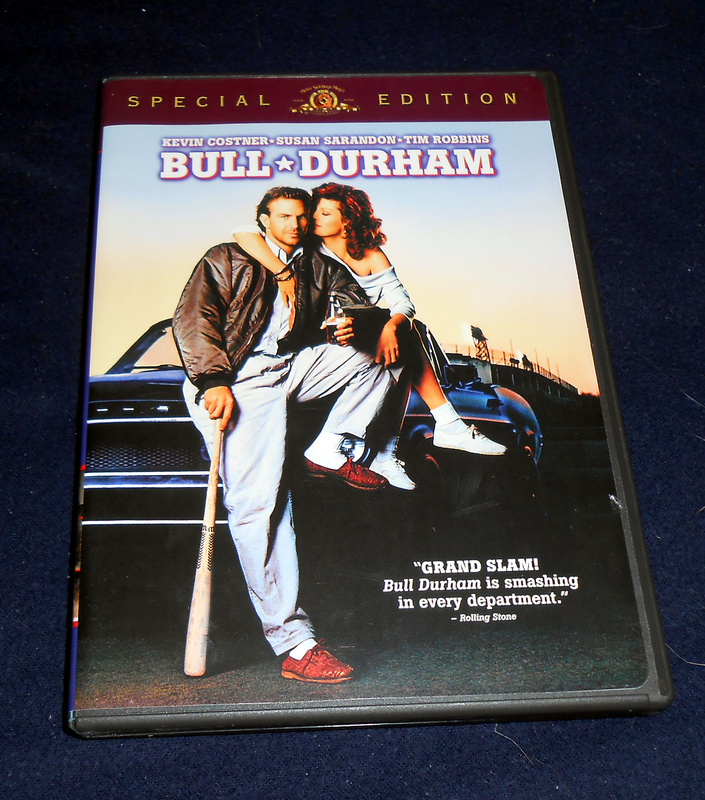 The movie Bull Durham did a very good job showing the superstitious side of baseball through chants over bats, breathing through one’s eyelids, chicken, and of course a garter belt where the rose goes in the front. Baseball is not the only sport with superstitions. Across all levels of sports there are athletes who have a lucky shirt, or other article of clothing that they can’t go onto the field of battle without. 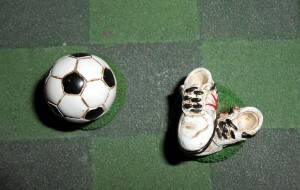 The link between superstitions and sports can start at a very early age. Back in high school I did a feature article on the goalie of my school’s woman’s soccer team, who attributed her on-field success to a lucky argyle sock that she wore during every game. Although he could be moody and liked to bite my nose to wake me up each morning, my dearly departed black cat, Lucky, was mostly a sweetheart and was certainly nothing to be superstitious of. Granted it was not a pair of socks but one single sock that took over when her “magic shoes” fell ill. Throughout my career I have been around many other superstitious athletes, and I am sure I will meet many more. To date though a single “lucky” Argyle sock has been the most memorable athlete superstition I have encountered. So on this Friday the 13th beware of those around you who are extra cautious of their surroundings. Now if you’ll excuse me, I am going to see if I can find a black cat while walking under a ladder and holding a broken mirror while stepping on all of the sidewalk cracks I can find. 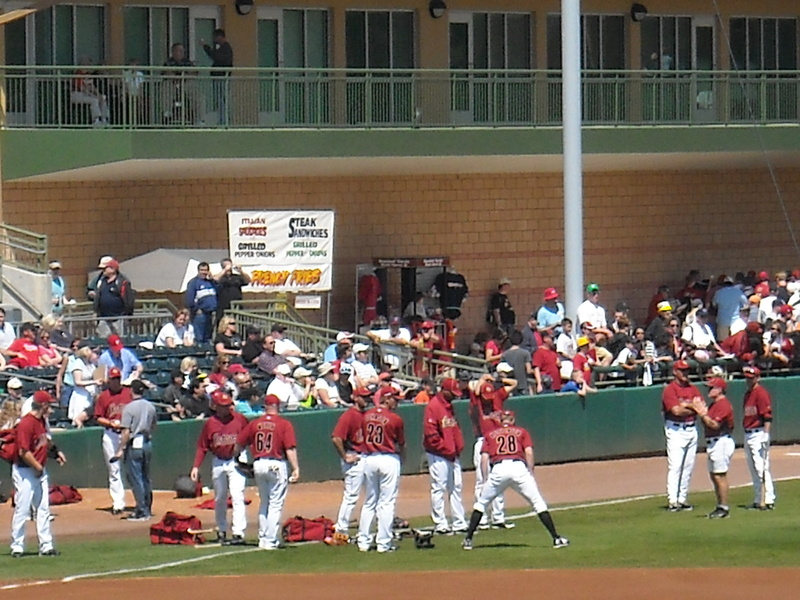 Editor’s Note: We are taking a break from our regularly scheduled Friday feature on the history of Spring Training over the past 40 years to focus on a superstitious day. We will resume our historic series next Friday with a doubleheader that covers Spring Training in 1985 and 1995. And now without further adieu, we bring you, Friday the 13th. Today is Friday, February 13, 2015. 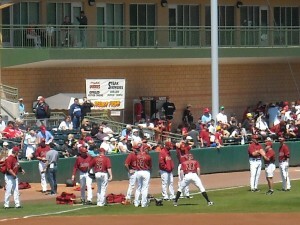 But the arrival of Friday the 13th on the same day that many teams started sending their equipment down to their Spring Training facilities made me think about sports and the superstitious rituals that many players seem to follow. Baseball is not the only sport with superstitions. Across all level of sports there are athletes who have a lucky shirt, or other article of clothing that they can’t go onto the field of battle without. Throughout my career I have been around many other superstitious athletes, and I am sure I will meet many more. To date though a single “lucky” Argyle sock has been the most memorable superstition I have encountered. Today is Friday, December 13, 2013. For others it means that there will soon be less than 10 shopping days left until Christmas. While many may think that the Friday the 13th craze started with a certain movie character named Freddy the roots of Friday the 13th actually run much deeper than late 20th Century cinema. Personally I have never feared Friday the 13th although I do fear not finishing my Christmas shopping in time. Baseball players can be some of the most superstitious in all of sports. Players on a hot streak will keep wearing the same clothes or eating the same food just to keep the streak alive. But the arrival of Friday the 13th made me think about sports and the superstitious rituals that many players seem to follow. Baseball is of course not the only sport with superstitions. Across all level of sports there are athletes who have a lucky shirt or other article of clothing that they can’t go onto the field of battle without. Back in high school I did a feature article on the goalie of my school’s woman’s soccer team, Kris Arnetta, who attributed her on-field success to a lucky argyle sock that she wore during every game. Granted it was not a pair of socks but one single sock that took over when her “magic shoes” fell ill. Perhaps it is best just to let her explain in her own words. I once interviewed a soccer goalie who had magic shoes and a lucky Argyle sock. And for those wondering, as I was back at the time I did the interview, how a pair of shoes gets “cancer” it was from her having to remove two of the cleats in the same way that a doctor might remove a cancerous tumor. I also learned that the shoes did not like concrete prior to them falling ill. Throughout my career I was around many other superstitious athletes and I am sure I will meet many more but to date a single Argyle sock has been the most memorable superstition I have encountered. Of course athletes are not alone in their superstitions. Anyone who has ever watched the History Channel show Swamp People will no doubt have noticed that one of the alligator hunters, Troy Landry, always wears his lucky shirt whenever he goes out into the swamp. Logically speaking there should not be any link between eating the same food or wearing the same shirt and performance. But is the mind thinks that there is there could be some potential for heightened success and the continuation of the superstitious activity. So on this Friday the 13th beware of those around you who are extra cautious of their surroundings. On a positive note perhaps they will stay home which should make the lines at the stores a little shorter for those last minute shoppers. Now if you’ll excuse me, I have some Christmas shopping to get to. I wonder if anyone on my list would like some Argyle socks.